In Pictures: Haymarket Yards gets a platform – kind of! 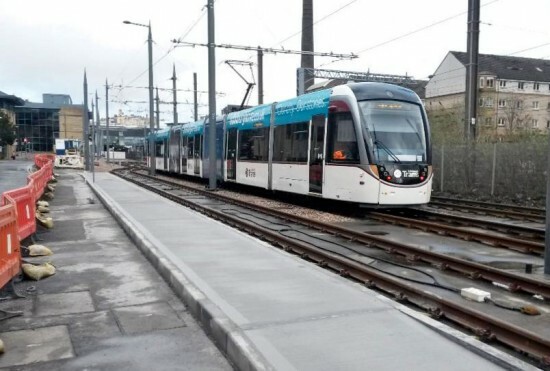 It is not only Blackpool where a new platform has been installed, and just like Blackpool the new structure in Edinburgh won’t be seeing passengers any time soon – although for different reasons! The new low platform is at Haymarket Yards alongside the short three track layout at this location. The exact purpose of this new platform is unknown but it is not of full height and is presumably just for staff use. It is immediately adjacent to the third track at Haymarket Yards – a track which is very occasionally used for the stabling of trams. Previously there was just ballast here so if any staff now have to alight from a stabled tram they have a far more secure area to do so.